It has been reported that Business Insider labors under the mistaken idea that you have to believe the dollar will crash to hate the Fed. Weasy Weisenthal of BI has said that if there is no inflation you can't hate the Fed. Well, those in the know, who are members of Hate Anyway the Fed or HATH, are well aware that the Fed is not causing inflation or a weak dollar. They know the Fed has put the economy in a comatose position after it was on death watch. But they aren't happy about it. They still despise the Fed. Turns out those Fed member banks not in Hath, hath all the money. It has been reported that American Rabbis have pushed to have Israel delegitimized and dehumanized. The Rabbis understand that Israel is a racist, godless nation doing bad things to its own Arab citizens and even the Ethiopian citizens who have right of return. And it occupies an entire people, the Palestinians. Out-of-sight-out-of-mind is the goal, these Rabbis say. Jim Cramer reported this week that oil is dropping in value due to market forces and that it is a free for all. 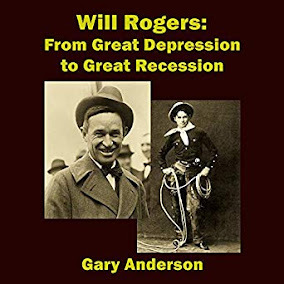 However, Gary Anderson announced that the oil market is rigged and that the market manipulators just want to crush Russia. If they succeed, or if they don't, prices will go up as soon as the manipulators need more money to plow into stocks and the housing markets, which they also control. The United States has decided to keep nuclear weapons scheduled for dismantling in order to protect the world from asteroids and aliens. Asteroids have been confirmed, but the government wants to prove it can keep out some type of alien, and that it could help the next election. Otherworldly aliens have been deemed illegal for purposes of this story. Obama is on a roll in his rating rise for Ebola and ISIS, so working on the illegal alien issue, even if the aliens are from outer space, is sure to boost his ratings even farther. So, we will raise rates when hell freezes over or when the market demand for treasuries needs us to. 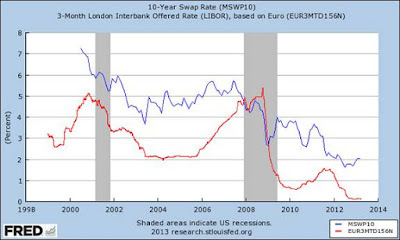 We are watching the interest rate swaps markets closely. That has always been our gig as we are bond salesmen, people! But we are so used to lying and as bankers no one understands us anyway, that we just continued to make things up. That will end. We won't talk about treasury bonds as collateral driving up demand for the bonds. But the insiders will know what we are doing. This is the last time we are talking about this so the masses of US citizenry can hear the truth. We know it is the authentic Yellen talking when she starts her talks with the word, so. Reuters warned today that there would be great criticism from Israel and the United States towards Sweden for recognizing the Palestinian state. Reuters went to great pains to point out that the government in Sweden was center left, leaving no doubt that right wing governments are in the arms of the Israelis. Reuters is the news arm of the New World Order cabal and the writer of the article really said he thinks Sweden will be criticized by Israel and America. Well, duh! That goes without saying. But he said it. This writer is surely Einstein reborn! Or maybe he isn't.